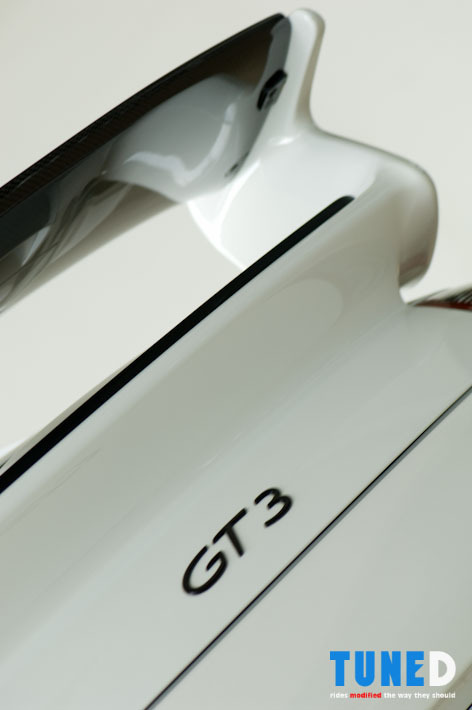 The Porsche GT3 is the road going homologation of what is arguably Porsche’s most successful racecar. 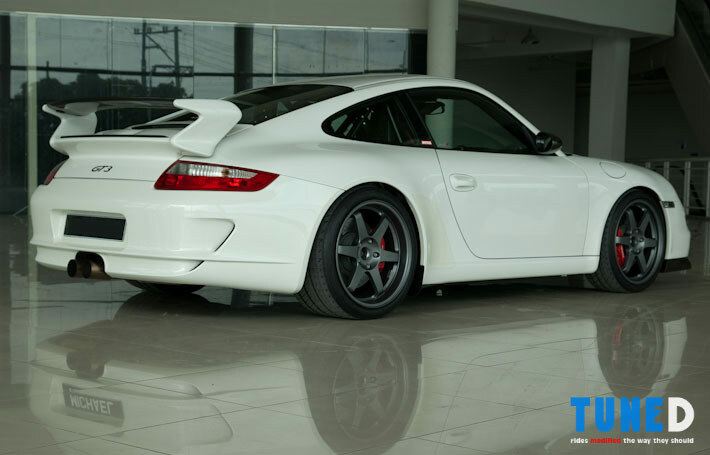 It is designed to be the perfect racecar for the street, combining decent road-going civility with excellent trackday dynamics. 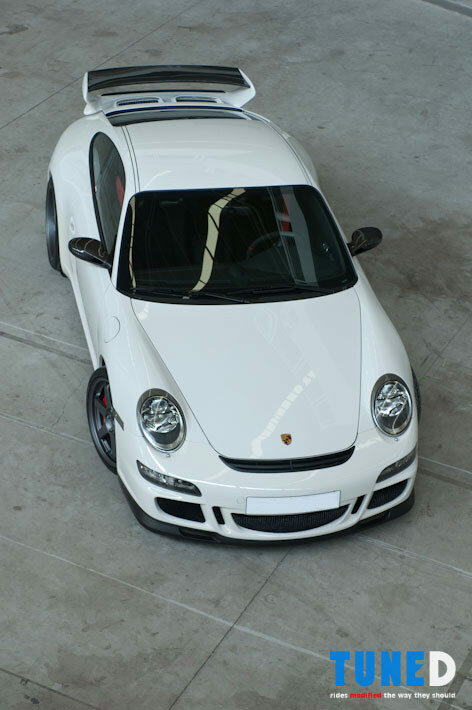 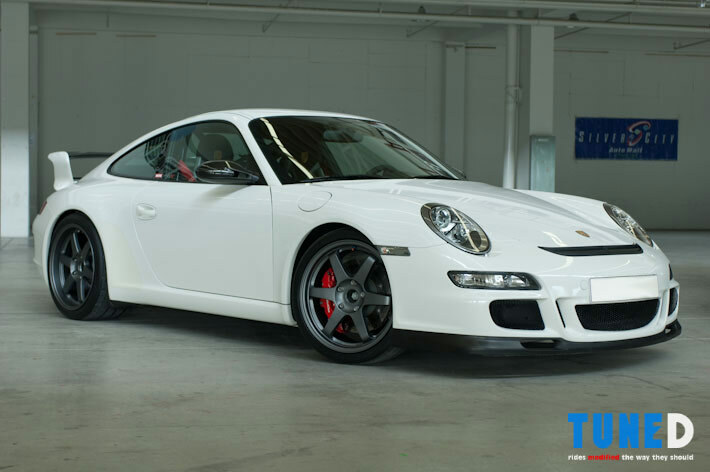 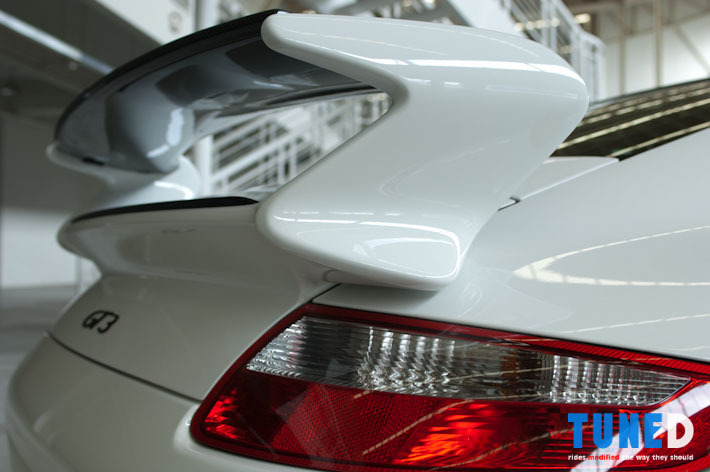 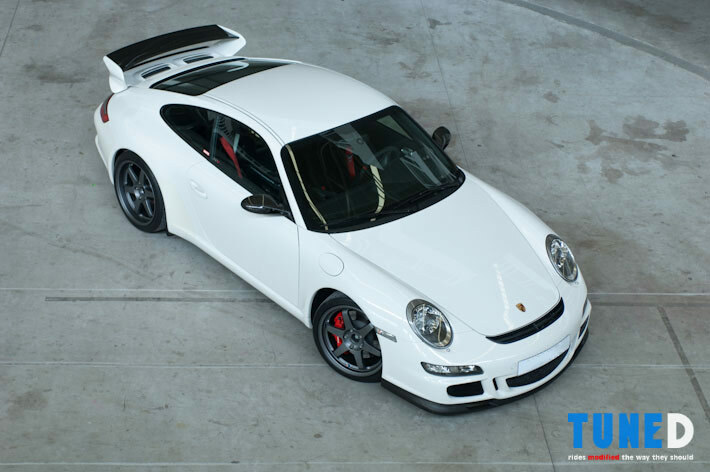 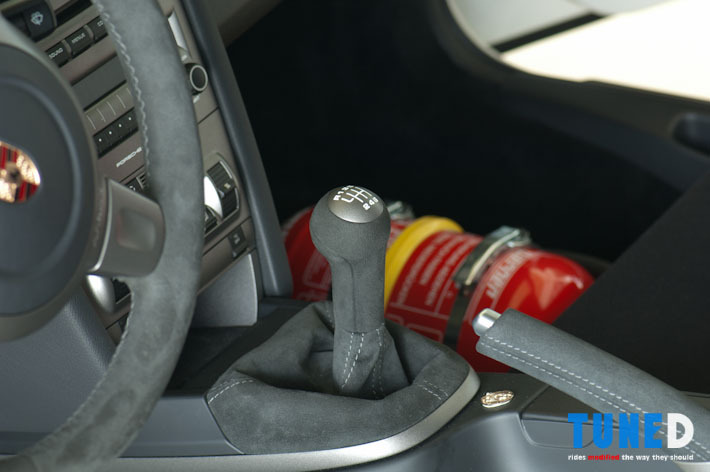 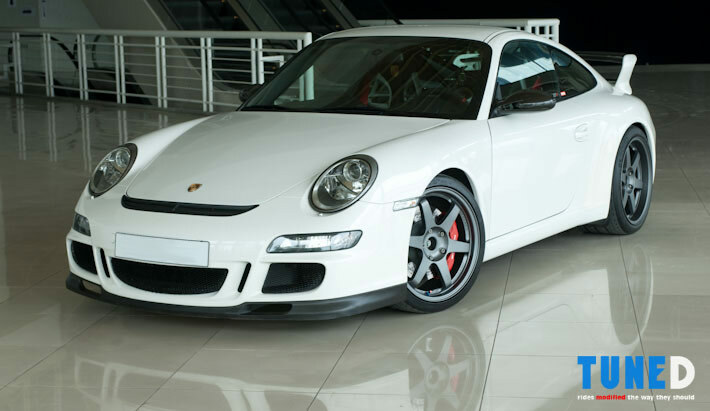 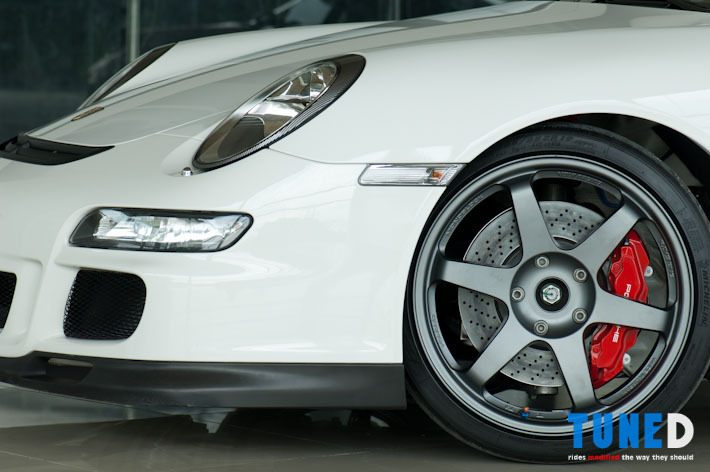 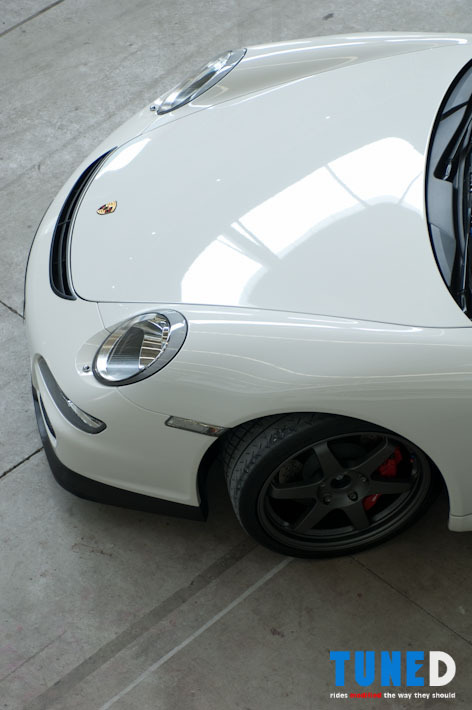 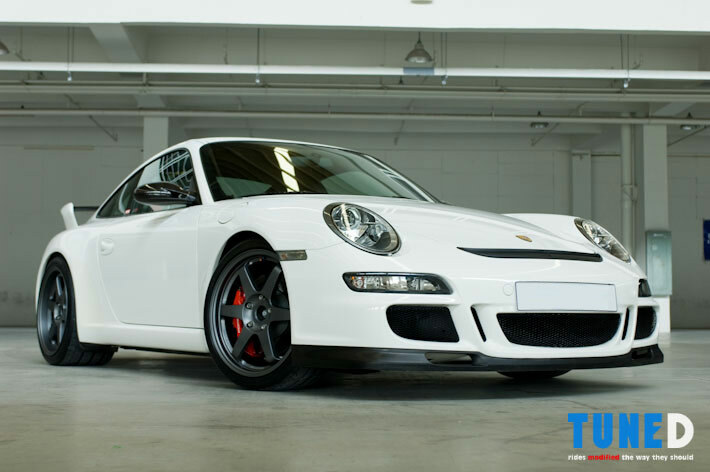 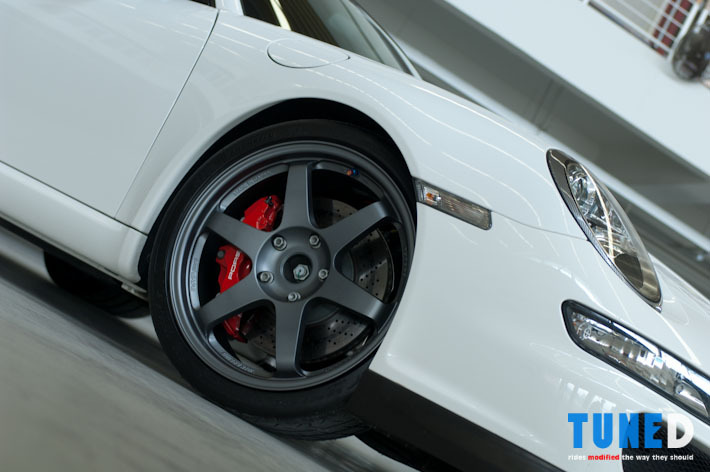 This particular GT3 is of the body type 997, the newest body for Porsche’s Carrera line of sports cars. 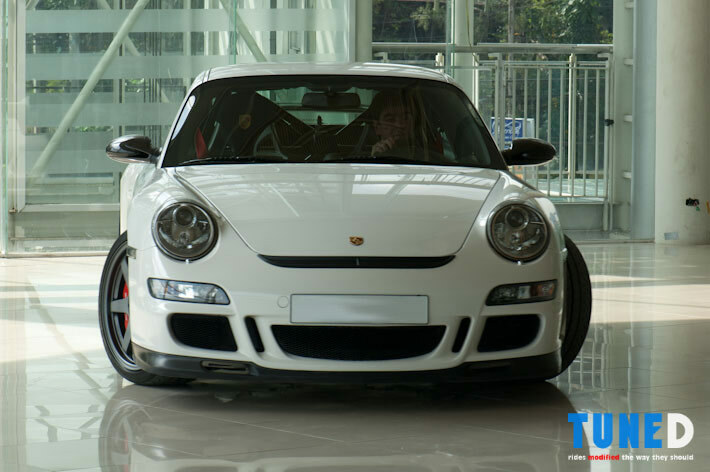 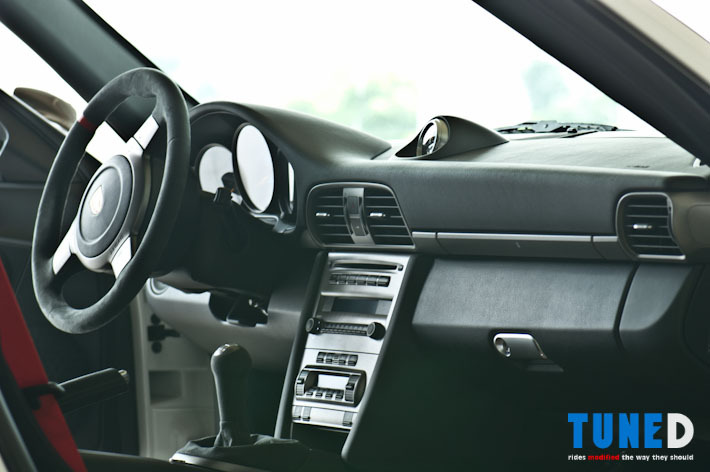 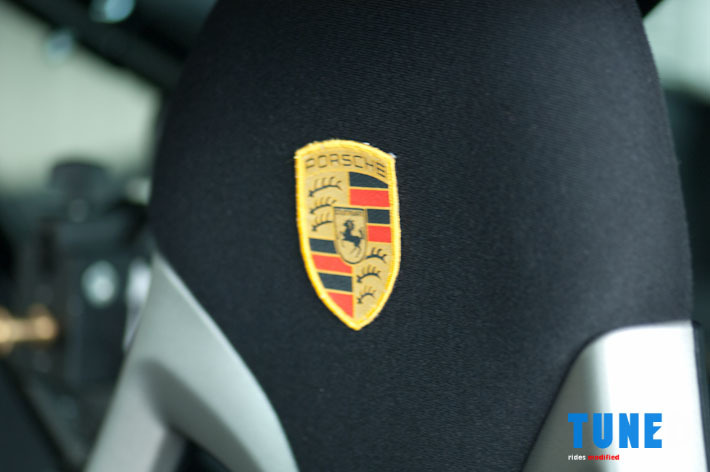 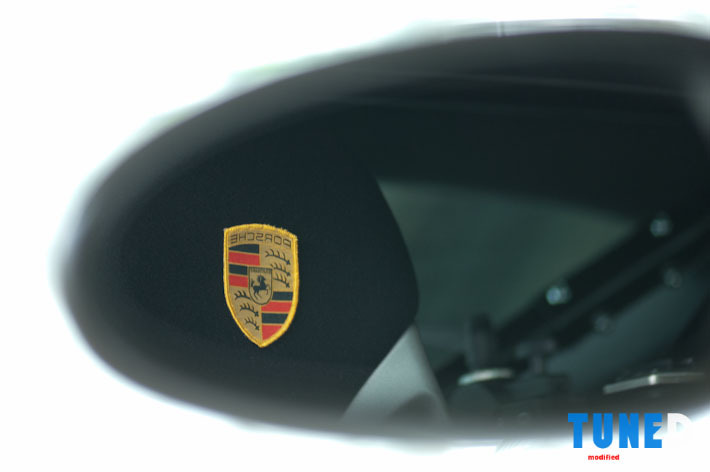 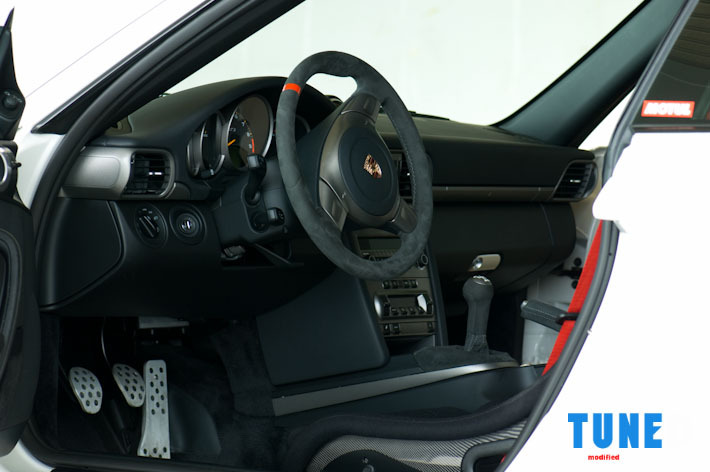 Unlike most Porsches seen on the streets though, this car has been extensively modified to extract even more performance. 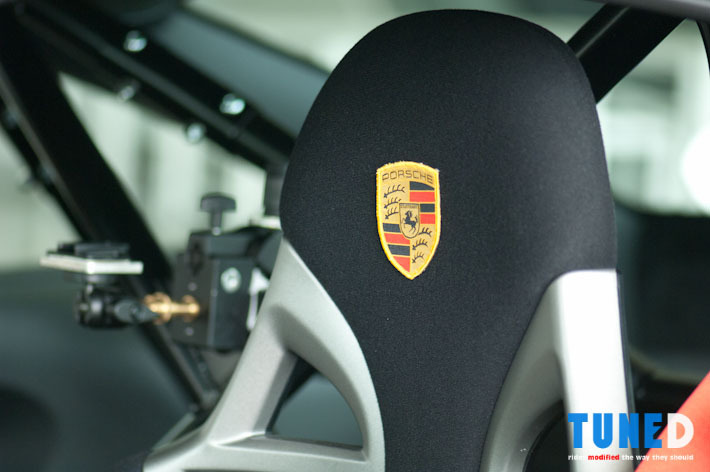 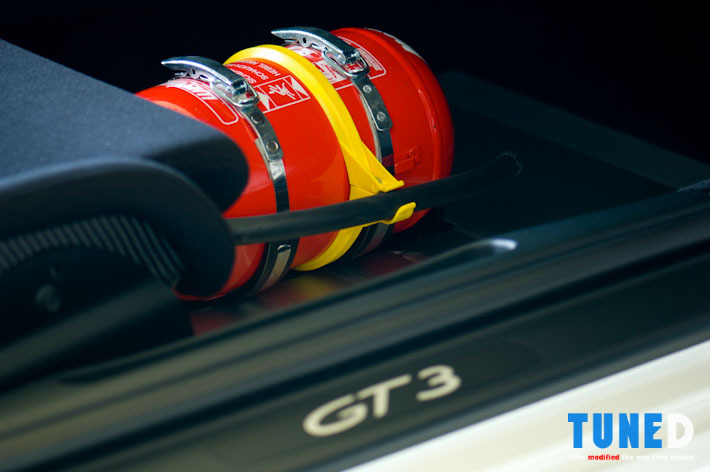 The heart of the GT3 lies in its 3.6 liter dry sump flat-six engine producing 415hp with the ability to rev till 8000+ rpm. 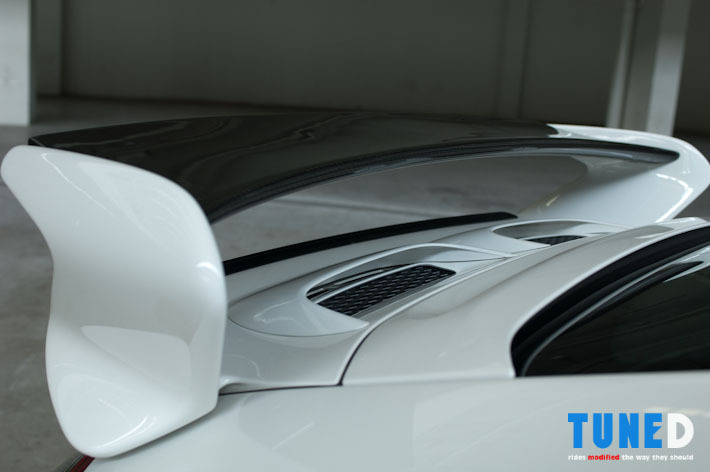 Extracting more power from this normally aspirated and highly strung engine is no simple task. 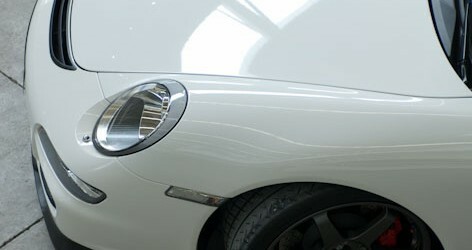 This particular example has a fabspeed intake and a custom exhaust system fitted. 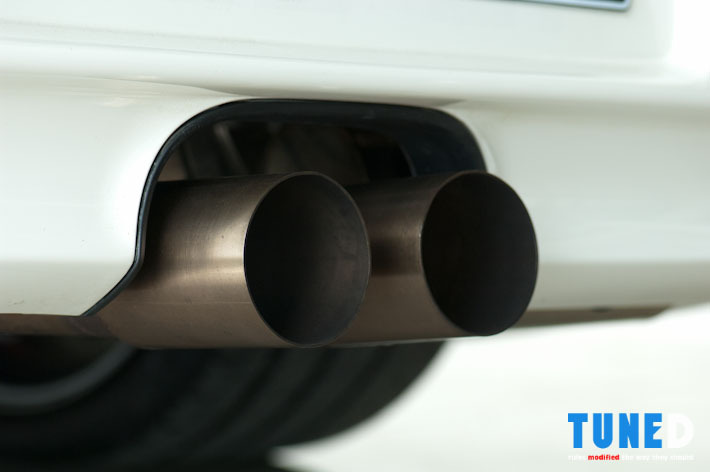 The custom exhaust maximizes airflow out of the engine, but it also gives a more important benefit than simply extra horsepower, it is lighter by 40 lbs as compared to the stock exhaust. 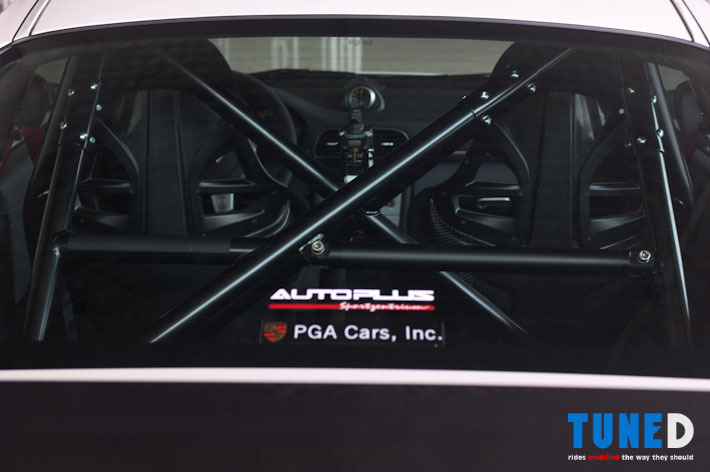 In a car that weights just close to 3,200 lbs and with the engine at the back, a 40lb. 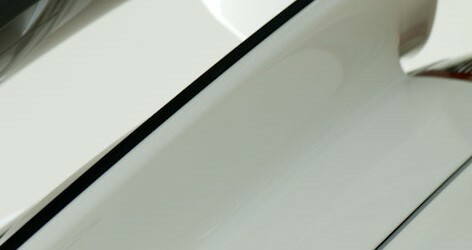 reduction is a big one. 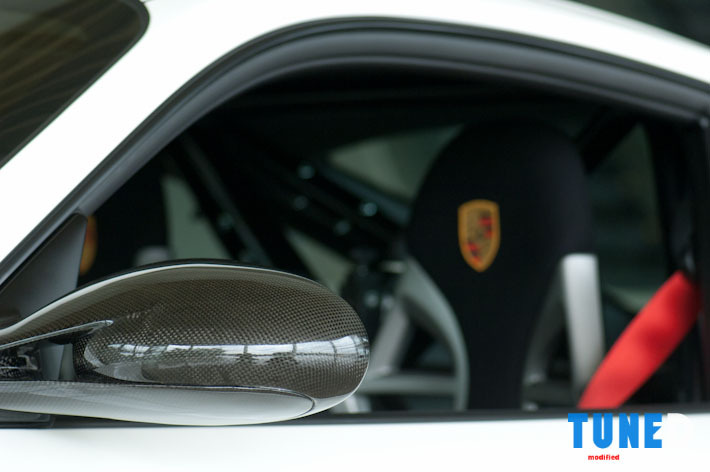 There are also some aesthetic modifications that may not be immediately obvious, carbon mirrors, carbon rear wing, Rennline mats and pedals. 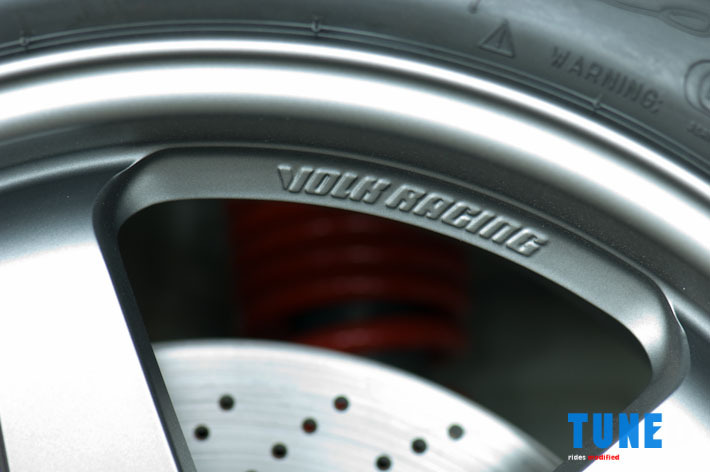 The car rides on ultra exclusive 19 inch Volk Racing TE-37 wheels. 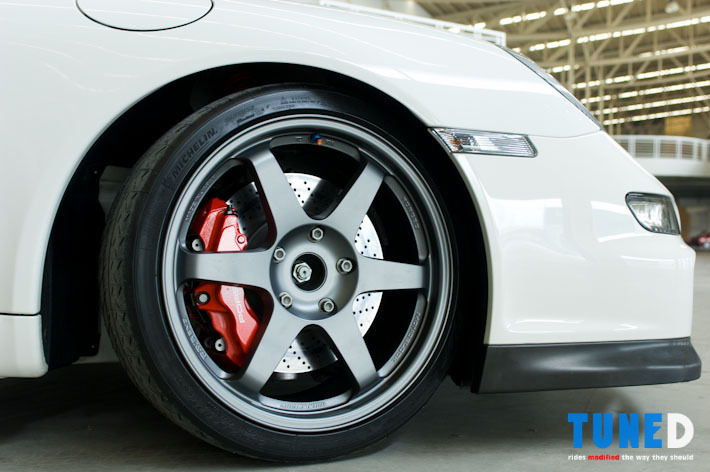 The wheels and tires used now are lighter than the stock ones by 60lbs. 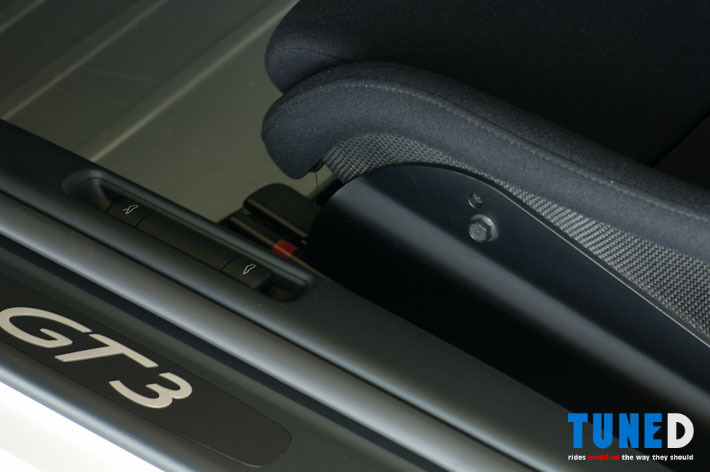 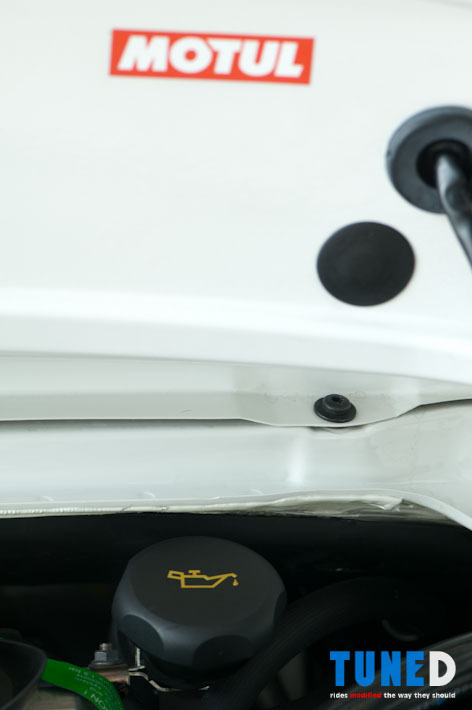 This reduction in unsprung weight translates to quicker acceleration and better braking. 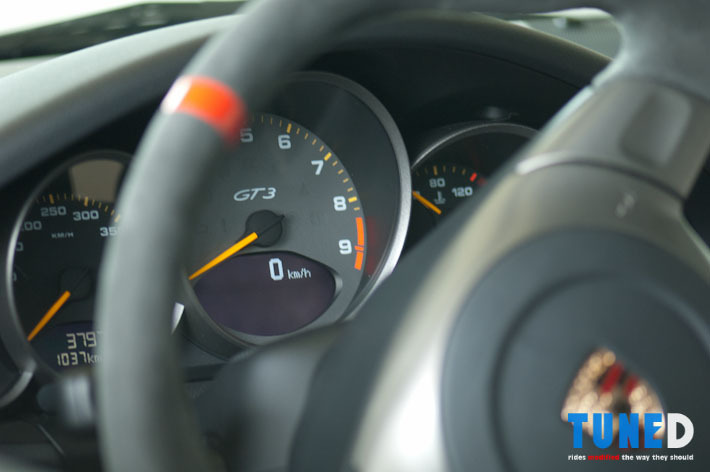 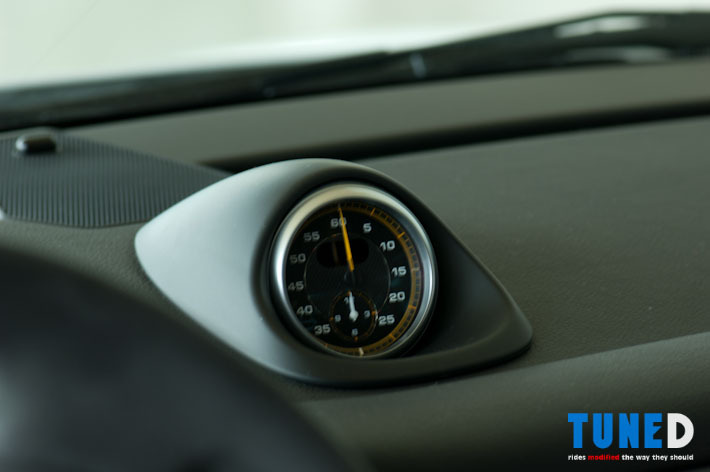 The result is a car that can easily do more than 300km/h as has been proven several times. 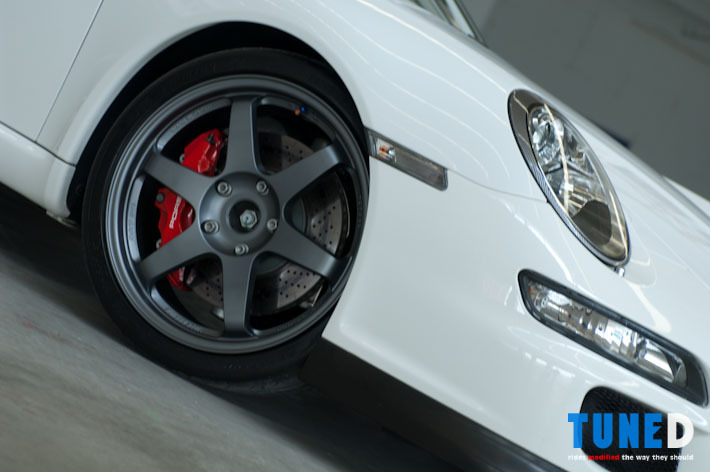 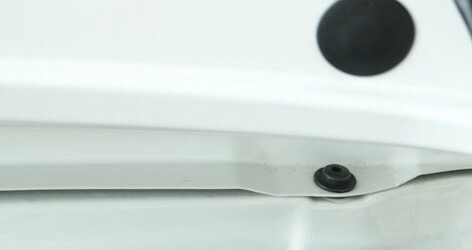 Project Mu brake pads help to make sure that the car will stop when needed.